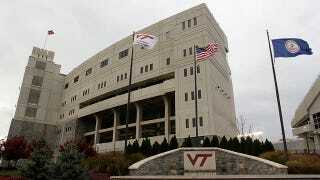 Three female ex-employees are suing Virginia Tech, claiming the university paid them less than men in comparable positions. One says her would-be boss explicitly told her she was worth less because she was a woman. According to Collegiate Times, Shana Maron, Erin Hofberg, and Getra Hanes all allege that Virginia Tech violated the Equal Pay Act and Title VII of the Civil Rights Act by paying them less than men who were doing similar jobs. Maron describes a 2007 incident in which she applied for a new position within the university after working in its development office. In a meeting with Robert Bailey, senior director of regional gifts, she requested the same starting salary for the new position that its last holder, a man, had received. But Bailey offered her over $20,000 less, and said, according to court papers, that " as a woman, and not the head of her household, she was not worth the same as the man held the position of the time." He also allegedly said that "hiring a woman can be a liability and a waste of space because women could become pregnant and miss work." And he apparently admits that he "might" have threatened to "slap her with a 'wet noodle'" if she told anyone about his sexist statements. Court documents call this "a phrase with arguable phallic subtext," but to my mind it just sounds creepy — and shows he was totally aware that what he was saying was inappropriate. The whole interview sounds like a sad rundown of all the stereotypes and unfair practices that contribute to the wage gap. It's a little surprising to see these stereotypes set forth so bluntly, but if Maron's claims are accurate, they serve as a reminder that women still face outright discrimination as well as more subtle forms. And if she and her co-plaintiffs win their suit — given that male employees have already confirmed their higher salaries in depositions, their chances look good — it will hopefully keep other employers from thinking they can treat a woman as though she's "not worth the same as a man."